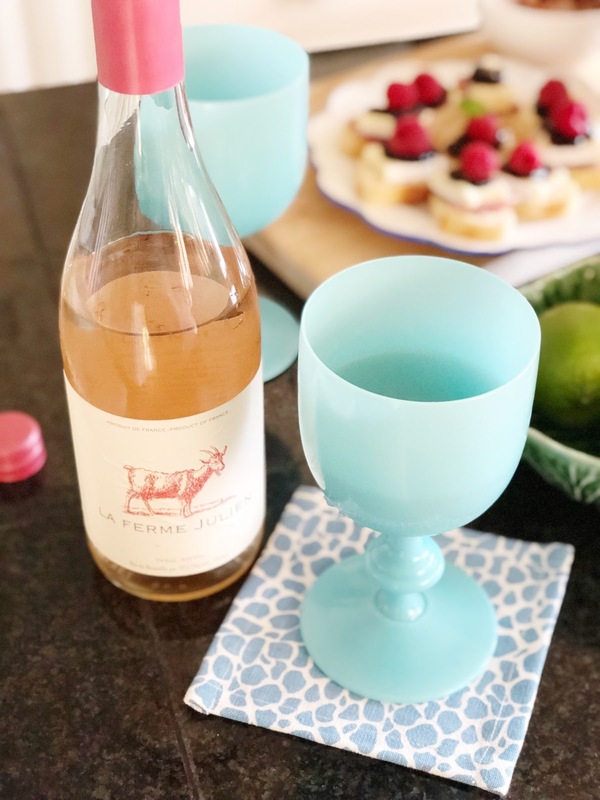 I love partnering with other bloggers and do it as often as I can. As a person who works alone most of the time it is always fun to partner with others and I am super excited about today's blog post. I am part of a Spring Progressive Dinner hosted by the darling Heather of Southern State of Mind. Heather has a darling blog and a beautiful home. I love following and reading her blog and enjoy seeing her when we have the chance to meet up in the city for events. 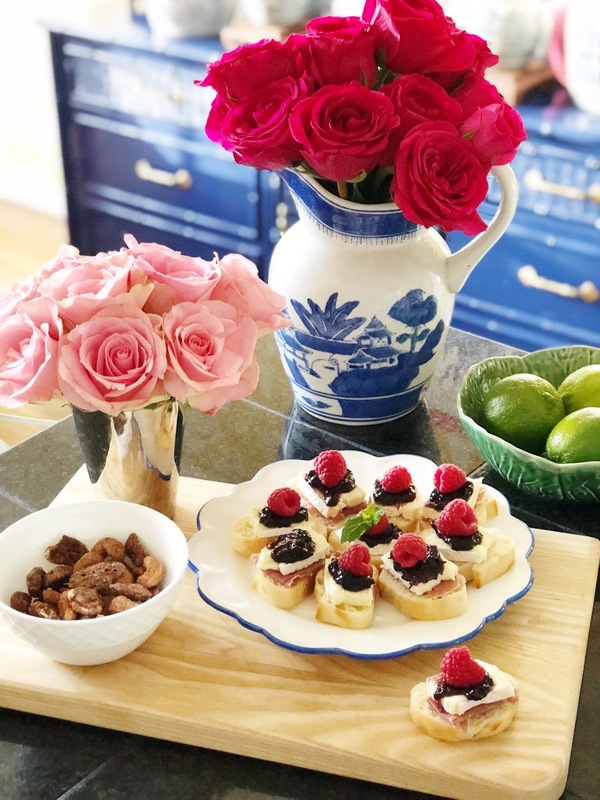 I am thrilled to share my part of this wonderful group of bloggers for her virtual progressive dinner. You will absolutely love this post today and all of the amazing links. These women write amazing blogs and have incredible ideas ... it is like being invited over to nine different homes at once. Can you think of a better way to spend a Thursday? I know I can't!! I have chatted quite a few times (or quite a lot) about my role in the kitchen. While I am not the one who makes the big portion of the meal on a regular basis I am always in charge of appetizers, drinks and sides. I actually love that my husband loves to cook and we enjoy being in the kitchen together. Any time we can spend time together is a good time for me. 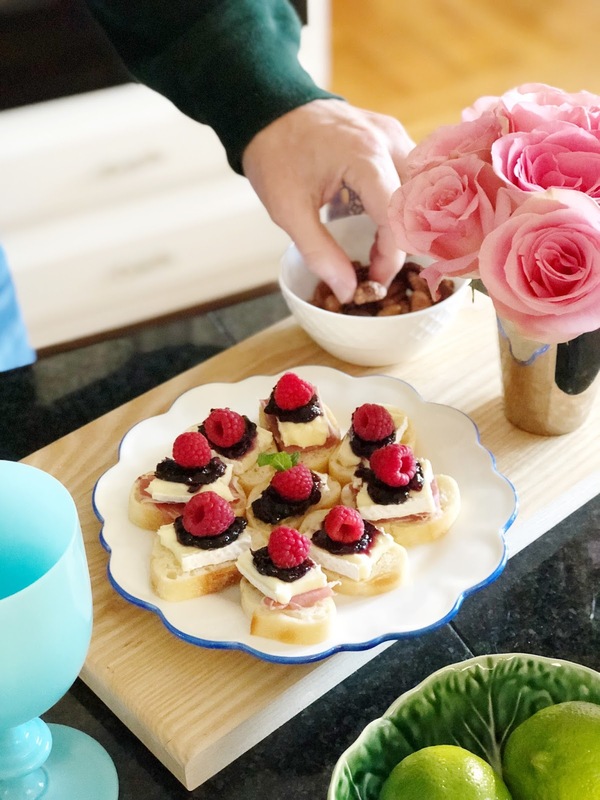 For this post I pulled together a delicious appetizer for you which I highly recommend you make for yourself and others. It is not only delicious, it is easy to make and perfect for any time you need to show up with an appetizer in hand. If I could eat brie, jam and bread for three meals a day I just might do so. I love these three things so very much and any time I can marry them for a snack, appetizer or even as part of my lunch I am all in. I decided to take three things I love and put them together in a way I would not normally prepare them. 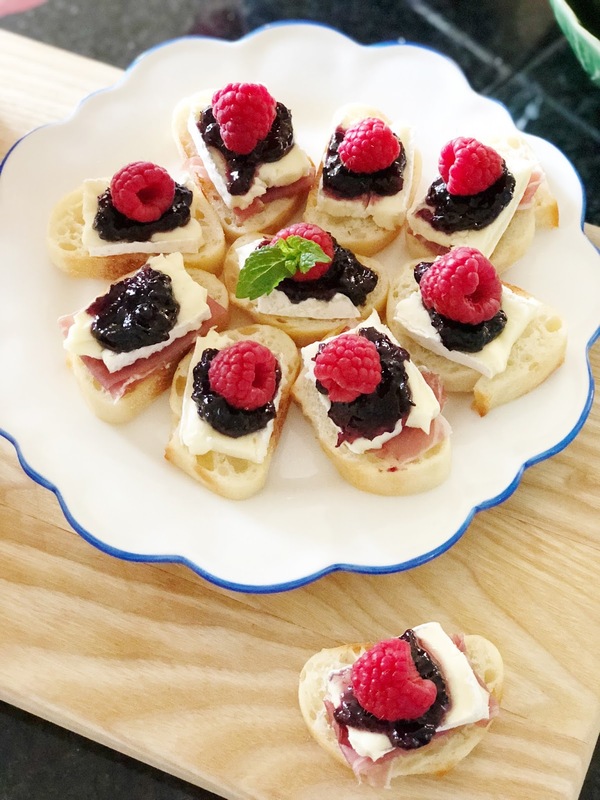 As I thought through what I would like to prepare it came to me that brie would be a fabulous topping for crostini so that is what I have made for you today ... Brie + Prosciutto Crostini. 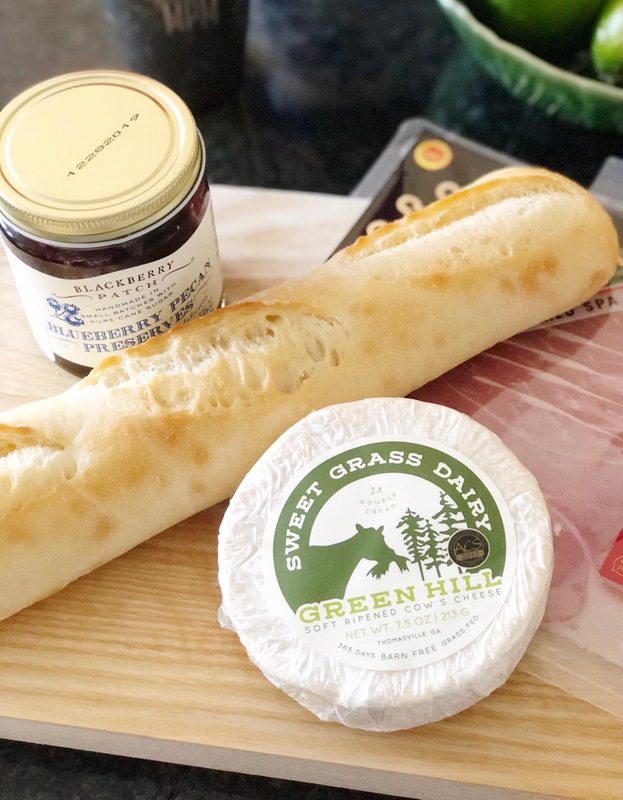 I was thrilled to noticed my local market carries Thomasville, Georgia's favorite cheese source Sweet Grass Dairy and I grabbed both the Tomme and this Green Hill. 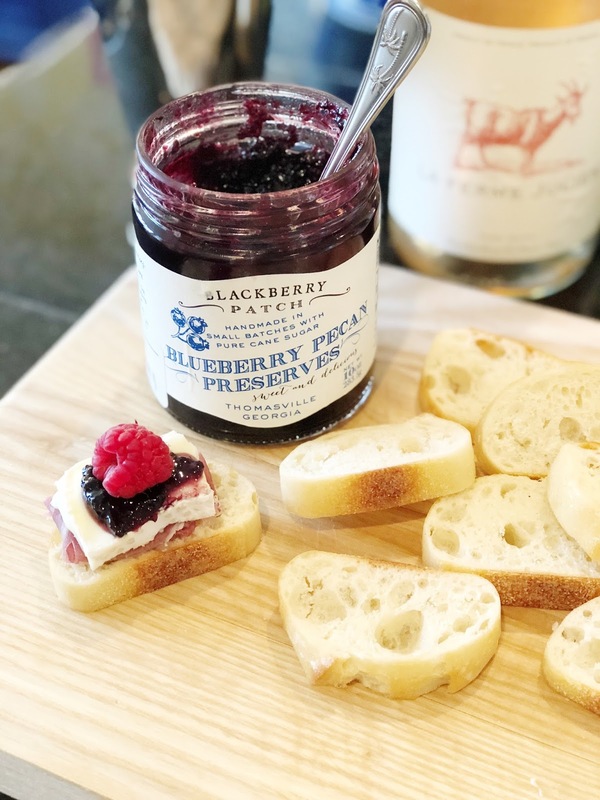 The Green Hill was absolute perfect for this recipe and I knew that the crostini it would taste even better than I had imagined with this fabulous cheese. 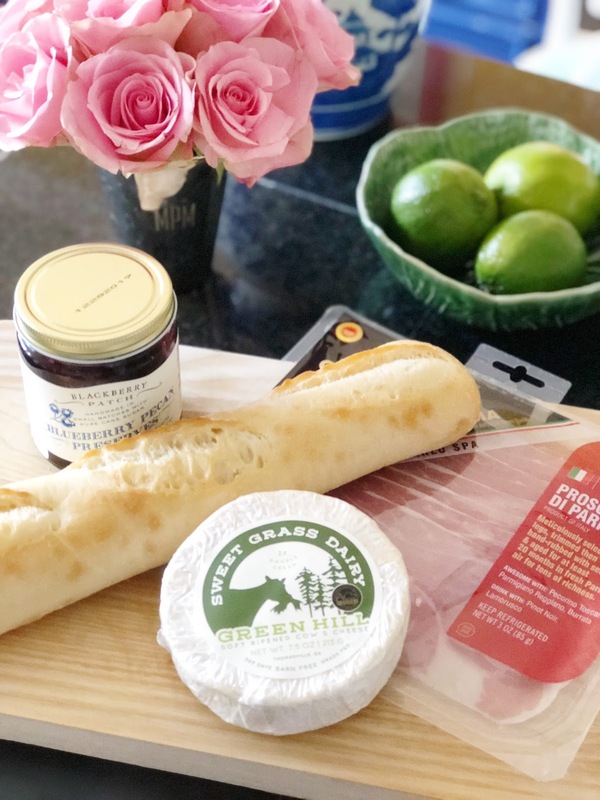 I do not love prosciutto but my family loves it so that went in the cart and in the recipe as well. Add in some of my favorite new jam, some raspberries and a good loaf of french bread and I was ready to start assembling at home. My mouth was literally watering all the way home in the car dying to have it done and ready to devour. 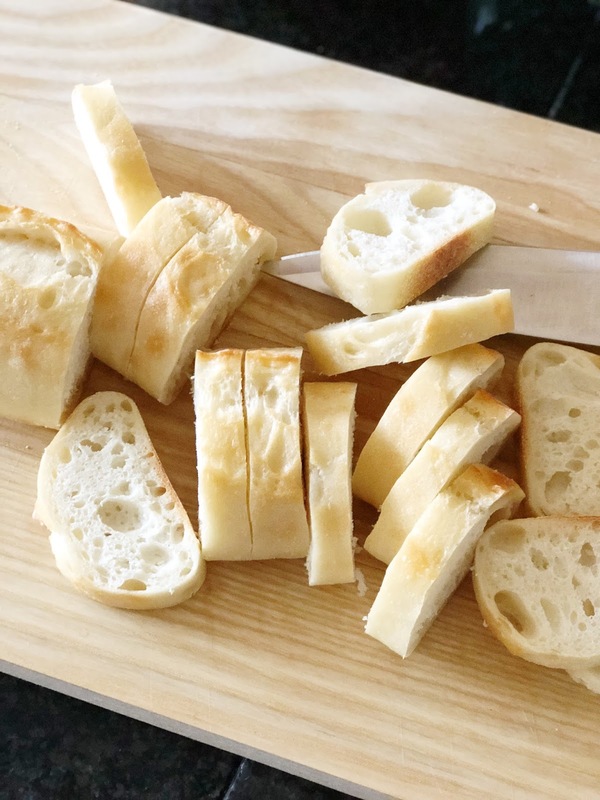 I sliced and toasted the bread at 375 for about 10 min, 5 on each side after brushing with olive oil. Once the bread was toasted and out of the oven I assembled the crostini. 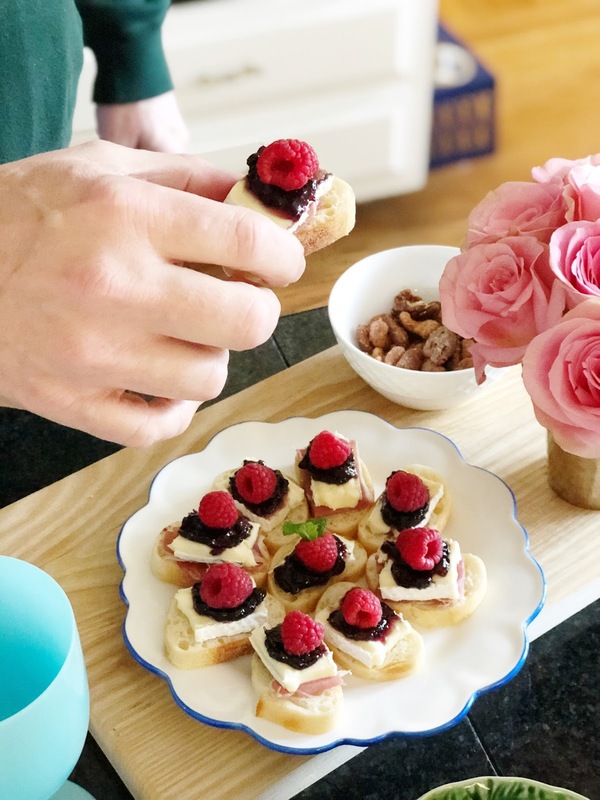 Prosciutto (on some) + cheese + jam + raspberry and they were perfect. I didn't even realize until after I shot and edited the images that a little hand had snagged a raspberry from the plate. When I spotted it and called her out all I got in response was a giggle. Little bugger! 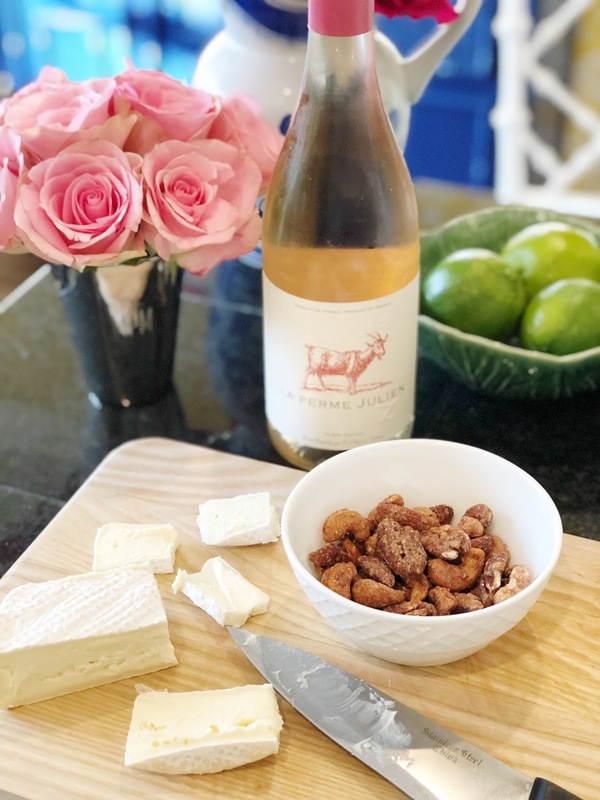 I added in our favorite sweet nuts and a bottle of rose and the Hubs and I snacked while he prepared salads and sliced left over steak for dinner. Add in a little music and some conversation about the day and it was perfect! We had just enough for the four of us and one left over for me to snag to add to my dinner. These were absolutely delicious and I will happily make them again. I may struggle to go back to just a wedge of brie with bread and jam.